Lil’ Turtles are back again with gorgeous new shell designs that will really make a splash! They are the cutest lifelike pets that move and act so real! Your pet turtle can swim in water and walk on land – just like a real turtle! Each turtle is unique with cool shell designs that show off their personality! 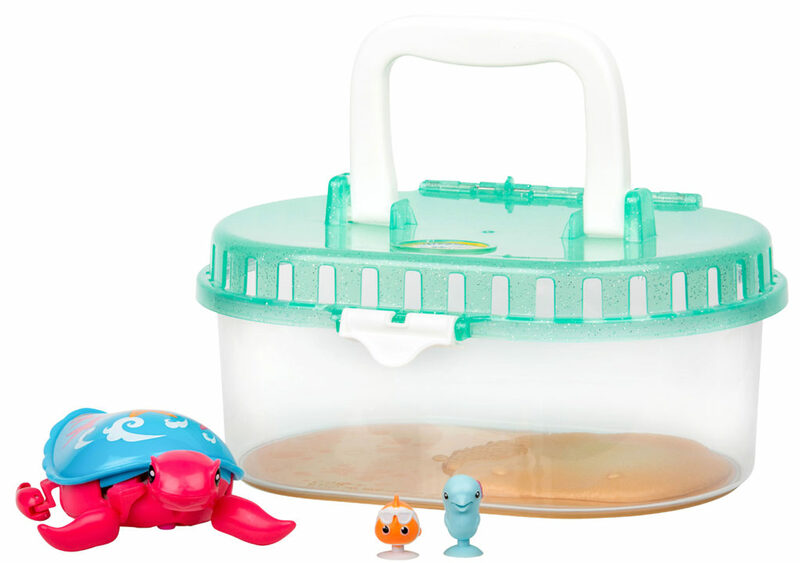 Each Turtle has two cute little sea creature friends that attach to their shell! The little friends can ride wherever the grown up turtle goes! Take us anywhere in our cool turtle tank! Open the lid and watch us walk around them we dive into the water! Watch your turtle walk and swim so well as they carry their friends on their shell. 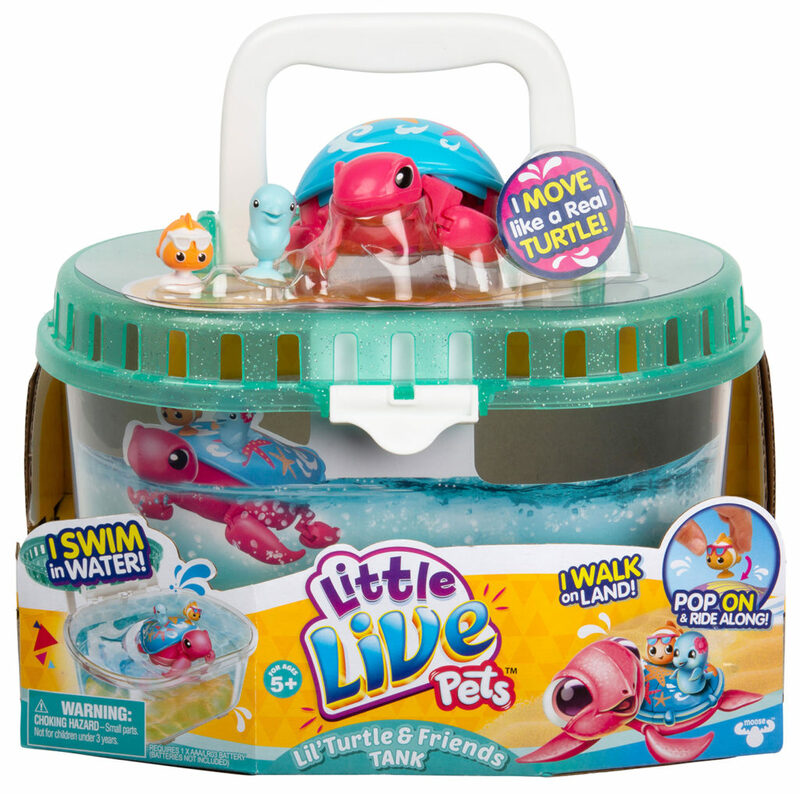 They are the Little Live Pets that love to get wet!